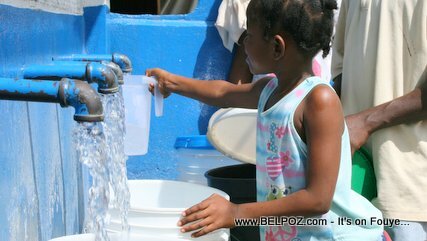 Haiti will improve the provision of potable water and sanitation services in the metropolitan area of Port-au-Prince and rural areas (particularly affected by Hurricane Matthew) thanks to a US $ 65 million grant from the Inter-American Development Bank (IDB). The subsidy will improve the sanitary conditions of the population of Port-au-Prince and rural communities through the supply of drinking water and sanitation services. More specifically, the project seeks to improve access to and quality of water and sanitation services, as well as hygiene practices (including menstrual hygiene) in Port-au-Prince and rural areas (including the departments affected by Hurricane Matthew). ). In parallel, the project seeks to strengthen the capacity of the Technical Service Center of the metropolitan region of Port-au-Prince (CTE-RMPP, for its acronym in French) to improve the financial sustainability of the company and the capacities of the Regional Office of Drinking Water and Sanitation of the West (OPERA West) as well as the National Directorate of Drinking Water and Sanitation (DINEPA, for its acronym in French). Hurricane Matthew, which hit the departments of Nippes, Sud and Grand 'Anse, has caused considerable damage to public drinking water infrastructure. It is estimated that the total losses of the sector due to inclement weather reach US $ 20.6 million. Losses amounted to US $ 14.2 million in rural areas alone, disrupting access to drinking water for some 700,000 people. Around 60 drinking water systems have been severely damaged or destroyed. This third operation will allow to go from 45,000 to 100,500 households with connection to the drinking water network. At the same time, it will go from 185 to 280 kiosks, in addition to 12,000 new connections for condominiums. All this will make 60 percent of the population have access to drinking water compared to 44 percent today.